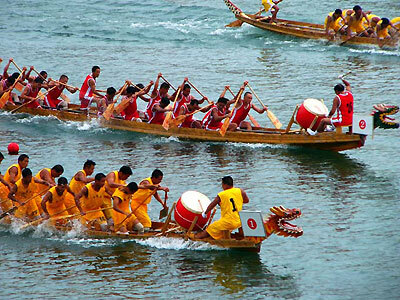 The Dragon boat or Duanwu festival is celebrated on the 5th day of the 5th month of the lunisolar chinese calendar. Because of this, it has the alternative name of Double fifth. Three of the most widespread activities for Duanwu Festival are eating (and preparing) zongzi, drinking realgar wine, and racing dragon boats. 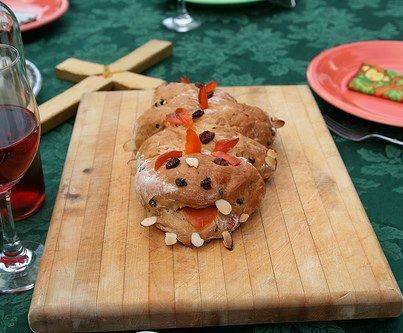 The food may have originally represented an offering to the dragon king, while dragon boat racing naturally reflects reverence of the dragon and the active yang energy associated with it. Double Seventh falls on the seventh day of seventh month as per the lunar solar calendar. This festival is also known as Qixi or “The night of sevems”. Girls traditionally demonstrate their domestic arts, especially melon carving, on this day and make wishes for a good husband. There is a interesting love story behind this tradition and this is a romantic festival as well. Mid Autumn also known as the Moon Festival. Sometimes known as Mooncake or Zhongqiu Festival. This is celebrated in the month of September-October. 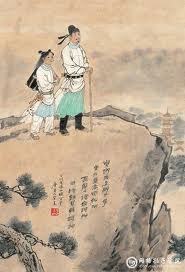 This festival is strongly associated with the legend of Houyi, his student Feng Meng, and Chang’e. The customs around this festival include eating mooncakes, fire Dragon dances and burning incense in reverence to deities including Chang’e. This is celebrated in various forms in other countries such as Vietnam, Korea, etc. Double Ninth is potentially a dangerous date as per the chinese beliefs. To protect against the danger, rituals are undertaken. Climbing a high mountain or drink chrysanthemum wine are part of the rituals. The festival is based on the theory of Yin and Yang, the two opposing principles in nature. Yin is feminine, negative principle, while Yang is masculine and positive. In ancient times people believed that all natural phenomena could be explained by this theory. Numbers were also related to this theory. Even numbers belonged to Yin and odd numbers to Yang. The ninth day of the ninth lunar month is a day when the two Yang numbers meet. So it is called Chong Yang. Chong means double in Chinese. Chong Yang has been an important festival since ancient times. Winter Solstice festival or Dongzhi Festival is one of the most important festivals celebrated by Chinese. This is celebrated around last week of December and family get together s happen during this period. This festival also marks the eating of Tangyuan. Tangyuan is made of glutinuous rice flour and sometimes it is brightly coloured. 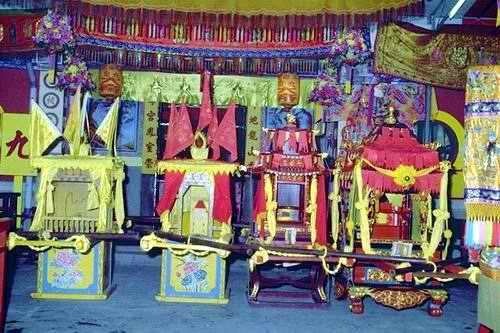 The festival of nine emperor- it is believed that there will be rain throughout the nine days of festival. The ninth day is its climax. A procession which draws scores of devotees send the deities back home. This is a popular folk culture of china. In india, the Navratri, followed by Dusshera is also celebrated across nine days.